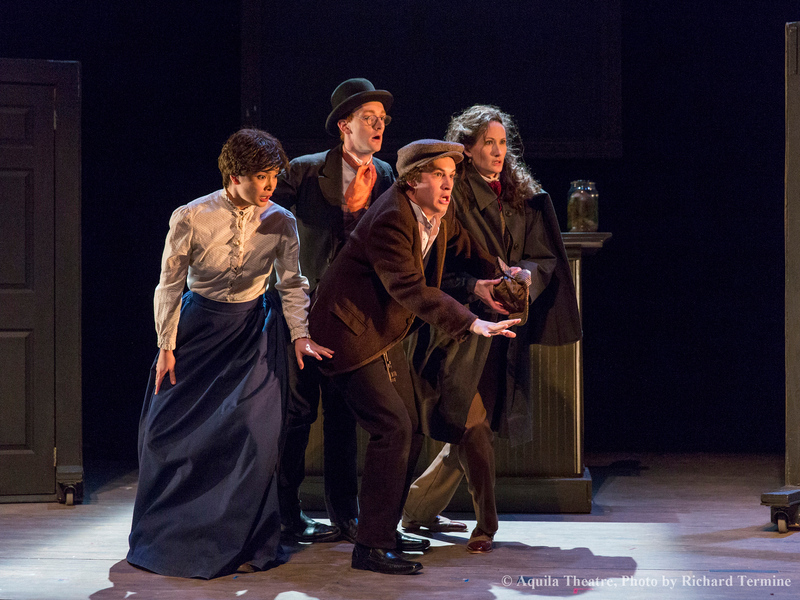 The legendary sleuth, Sherlock Holmes, takes the stage in this witty, fast paced production by the acclaimed Aquila Theatre. The clever Holmes skillfully maneuvers the twisted web of London’s most intriguing cases with his split second deductions revealing intimate and useful details of a person’s life. Sherlock Holmes is a master of disguise and a brilliant actor, as well as a composer and musician - is there anything he can’t do? Sir Arthur Conan Doyle's vivid characters jump from the page weaving a tale of mystery, suspense, and intrigue. In addition to Holmes, many of Doyle's other well-known creations are on hand; the trusted sidekick Dr. Watson, Irene Adler, the woman who got away, and the only woman to have won Holmes's respect, the red-headed mason Jabez Wilson. The Aquila Theatre brings its energetic and physical style to this new adaptation sponsored by the Terre Haute Savings Bank. With actors drawn from the top British and American stages, The Adventures of Sherlock Holmes is a thrilling and memorable ride. Join him on March 8 at 7:30 p.m. in Tilson Auditorium to help solve the cases! Join us for a pre-event dinner beginning at 6:00 p.m. Reservations are required. Prices are $12 for adults, and $5 for children ages 2-12. Call the Hulman Center Ticket Office for more information at 812-237-3770. Sherlock Holmes tickets are on sale now! Adult tickets are $21-$23, ISU faculty and staff tickets are $15-$18, individual youth (ages 2-12) tickets are $5, and Indiana State students are admitted to all shows for free when presenting their valid Indiana State ID. Tickets are available at Hulman Center Ticket Office, to charge by phone call 1-800-745-3000, or online at ticketmaster.com. Group discounts are also available for groups of ten or more by calling 1-877-ISU-TIXS. With actors drawn from the top British and American stages, The Adventures of Sherlock Holmes is a thrilling and memorable ride. Join him on March 8 at 7:30 p.m. in Tilson Auditorium to help solve the cases!